When the Army Air Corps flew off to war, the civilian volunteers of the Civil Air Patrol filled the void left behind—even driving Nazi subs from US coasts. Civil Air Patrol pilot Henry Cross woke up in the water. The plane he was flying had crashed into the Atlantic 20 miles off Rehoboth Beach, Delaware, at 4:50 p.m. on July 21, 1942. Now it had sunk, Cross was hurt, and he couldn’t find Charles Shelfus, his observer and radio man. Within an hour, Hugh Sharp, commander of the Civil Air Patrol base at Rehoboth, arrived at the scene in a Sikorsky seaplane with Edmond Edwards as his observer. He landed in the rough water. Eight- to ten-foot swells tossed the Sikorsky about and damaged its left pontoon. The plane started filling with water. Edwards loaded Cross aboard in spite of the heavy swells, and after searching in vain for Shelfus, the trio turned toward the shore at 6:20 p.m. They could not take off because the sea was too rough, so they had to taxi all the way to shore. Shortly after they set out on their westerly course, the left pontoon sank. While Sharp piloted the plane, Edwards crawled out onto the right pontoon and hung onto the bomb rack to help balance the plane. He was completely immersed several times during the trip home. A Coast Guard picket boat met the Sikorsky at 8:50 p.m. and towed it and its passengers to Chincoteague, Virginia. They arrived at 11:45. Later, in February 1943, President Franklin Roosevelt personally presented the two men with the Air Medal for “meritorious service” in a ceremony at the White House. The Civil Air Patrol was only about eight months old when Cross’s surveillance plane plunged into the sea. An organization of volunteer civilian pilots and support personnel, the Civil Air Patrol (often called the CAP) was formed just days before the Japanese bombed Pearl Harbor. In the aftermath of the attack, the federal government prohibited all civilian flights except airline flights. Some of the first planes allowed back into the sky a few days later were those of the CAP. In a short time, the CAP was helping fight the enemy that lurked just off America’s shores. Credit for creating the Civil Air Patrol goes to Gill Robb Wilson, a former World War I pilot, president of the National Aeronautics Association, and aviation editor of the New York Herald Tribune. Wilson had visited Germany in the mid 1930s and saw how the Germans were preparing for war. He became concerned that the United States was not ready to deal with threats from overseas. Inspired in part by Germany’s civilian glider program for training pilots, Wilson developed an idea for mobilizing America’s civilian pilots into a corps of “flying minutemen.” In 1941, he pitched his idea in Washington, DC, and gained the support of Army Air Corps commander Major General Hap Arnold and key members of his staff, along with a number of prominent private citizens. In time, the idea became reality, and President Roosevelt founded the Civil Air Patrol by executive order on December 1, 1941. It was placed under the authority of the director of the Office of Civilian Defense, Fiorello LaGuardia—another former World War I pilot and a former mayor of New York City. Major General John Curry was appointed the first national commander, and the CAP was organized into wings, with one wing per state. Experienced personnel were put in command of the wings, and recruiting began. Henry E. Phipps joined the CAP on the day it was formed. Born in Baltimore, Maryland, in December 1913, Phipps earned his pilot’s license on July 17, 1940. Word about the CAP spread quickly around Baltimore’s Logan Field, where Phipps was flying, and he and a number of his fellow pilots signed up. “I thought it would be a good idea to have a roster of civilian pilots who could be useful in the event of an emergency, which at that time was six days before the emergency happened!” Phipps said. Though composed primarily of civilian volunteers, the CAP was an auxiliary of the Army Air Corps and was organized along military lines. The volunteers wore uniforms identical to army uniforms, except that their epaulettes and shoulder braid were red. The CAP planes did not fly immediately on December 1. During the first few days, the volunteers studied training manuals provided by the army and flew practice missions. At Logan Field, Phipps said, “we did close order drill.” The pilots flew simulated searches and worked on their mapping skills. German submarines began attacking shipping off the eastern coast of the United States in January 1942. America was poorly prepared for the onslaught. Cargo and tanker ships often steamed with their lights on, advertising themselves as sitting ducks. East Coast cities, not consistently blacked out at night for several months after the war started, stood there aglow, easy targets and landmarks for the enemy U-boats. Meanwhile, the navy and coast guard had few ships available for anti-submarine duty. As shipping losses increased, the government sanctioned the CAP to patrol the coast for a 90-day trial period. The oil companies chipped in $25,000 toward the effort, and the CAP established three coastal bases: Base 1 in Atlantic City, New Jersey; Base 2 in Rehoboth Beach, Delaware; and Base 3 in Lantana, Florida. 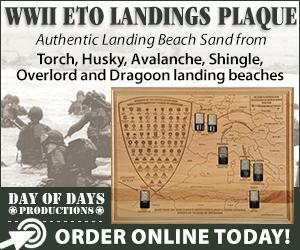 The trial succeeded, and 18 additional bases were established along the Atlantic and Gulf coasts. As the war progressed and the coastal patrol mission got into full swing, the ranks of the CAP swelled. Many of the volunteers were fathers of young children, were too old or too young to serve in the armed forces, or had been rejected by the military for health reasons. Many CAP veterans did go on to serve in the armed forces, and the CAP touted its role in training pilots and giving them the opportunity to log flight time before they went on to be military pilots. Not all CAP volunteers were pilots, of course. The CAP needed mechanics, radio operators, office staff, and other support personnel. Women volunteered, too, including some women pilots. Women were not allowed to fly coastal patrol missions, however, because that duty was considered too hazardous. The coastal patrol mission lasted 18 months, ending in the summer of 1943 when the German submarines pulled back from the East Coast due to America’s increasingly effective anti-submarine tactics. The people who volunteered for coastal patrol missions made their volunteer work their full-time job and lived on or near the bases. 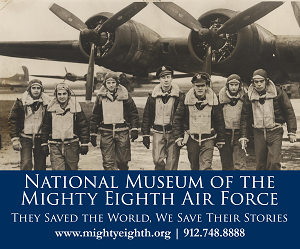 The CAP pilots flew during the day, escorting merchant ships and looking for submarines. They were in constant radio contact with their bases so they could report any subs they spotted and coordinate rescues for ships that had been torpedoed. Each plane had two people on board, a pilot and an observer (who was also usually a pilot). The observer handled the radio, and both men searched for submarines. For added safety, two planes flew on each mission. Despite all the steps taken to ensure safety, coastal patrol missions were hazardous. During the 18 months the CAP flew coast missions, it lost 90 planes in the sea. Most of the crew members were rescued, but 26 men died from drowning or exposure. The coastal patrol pilots generally flew at least once a day and sometimes as many as four times a day. They patrolled out to 50 miles from the shore. The fleet of airplanes at each base consisted mostly of planes owned by the pilots. Fairchild 24s and Stinson 10As were common. Most bases had at least one seaplane, such as a Grumman Widgeon. CAP personnel received a modest expense allowance, and the owners of base aircraft were given an additional expense allowance for aircraft maintenance based on their plane’s horsepower and the number of hours it was operated. Phipps took leave from his job as a product manager for a heating equipment manufacturer in Baltimore in November 1942 and transferred to Base 2 in Rehoboth Beach. 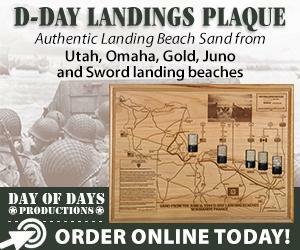 He flew coastal patrol for 10 months, logging more than 500 hours of patrol time before the base closed on September 1, 1943. Submarines were notoriously difficult to spot, said Phipps. In all the time that he flew on coastal patrol, he saw only one. “It was from the Netherlands, on the surface, flying the flag of its country on the way to the US for sanctuary,” he said. “We met it about 50 miles out and escorted it in.” Officially, the CAP is credited with spotting 173 submarines and attacking 57 of them with bombs or depth charges. At the start, CAP planes were unarmed. Their procedure was to radio their base when they spotted a submarine, and then the army or navy would send an aircraft to meet them and attack the sub. Louis Keefer’s book on the CAP in World War II, From Maine to Mexico, relates the story of how CAP planes became armed. Pilot Thomas Manning and observer Marshall Rinker, flying from the Lantana, Florida, base in May 1942, spotted a submarine just off Cape Canaveral. The German U-boat crew saw the aircraft and dove to escape, but ended up ramming the sub’s nose into a mud bank and getting stuck. For 42 minutes, the CAP plane circled the sub, calling the base and begging someone to come and attack the Germans. But neither the army nor the navy could respond quickly enough. The U-boat got free and escaped, leaving two frustrated CAP volunteers in its wake. When news of that incident reached Hap Arnold, he made sure that CAP planes were armed with either a single 100-pound bomb or a single 300-pound depth charge. Which weapon a plane carried depended on its size and horsepower. The CAP is officially credited with sinking or damaging two of the German submarines it attacked. The weather on the East Coast can be unpredictable and often caused problems for CAP planes. Phipps once had to stretch his four hours’ worth of fuel to four hours and 10 minutes because of adverse weather at Rehoboth. “The planes held 40 gallons of fuel, and we figured on 10 gallons per hour,” he recalled. “We patrolled for three hours and had extra fuel for safety. We flew a three-hour patrol and turned back when we were relieved. When we were at Rehoboth Bay, we ran into a solid wall of fog. We had an instant white out.” Phipps immediately turned 180 degrees and got out of the fog. The pilot of the plane flying with him was rated to fly by instruments and was able to land in spite of the low visibility. “The base radio operator suggested that I land on the beach somewhere near one of the Coast Guard stations,” Phipps said, “but that didn’t appeal to me.” He instead turned south toward the Chincoteague Naval Air Station, slightly more than 50 miles south of Rehoboth. He asked his base commander, Major Hugh Sharp, to call the navy base and ask for permission to land there. Permission was quickly granted. Phipps continued south. “When I got south around Ocean City [Maryland] I began to worry that I had made a mistake, so to save fuel, I throttled back some,” he said. “And then I had to make a decision as to whether I would stay over land or take a shortcut over Chincoteague Bay. I took the shortcut over the bay, figuring that if I had to make a ditching there, it wouldn’t be as bad as in the ocean because there are no waves or swells to contend with. I made an approach at the naval base to the first runway I saw. I couldn’t communicate with the tower because they were on a different frequency, but they knew we were coming and gave us a green light and I made a landing. As soon as we were down they put a ‘follow me’ Jeep in front of us, and they led us to the fuel dump. I never did find out how much fuel it took, but there couldn’t have been much left in the plane.” Phipps, his observer, and a CAP crew that had diverted earlier enjoyed the hospitality of the navy for two days until the weather cleared. Phipps says the navy treated them very well and was grateful for the work the CAP did. When the coastal patrol mission ended in the summer of 1943, CAP pilots flew other missions, including towing targets for aerial gunnery practice, border patrol, and search-and-rescue operations. After the war, the CAP became a non-profit organization and was transferred from the army to the newly formed US Air Force in 1948. At its peak in 1944, the CAP had 125,000 members and 45,000 pilots. Fifty-seven CAP members died from accidents, including the 26 who died while flying coastal patrol. Most Americans were unaware of the CAP’s vigil off the Atlantic and Gulf coasts (and even of the existence of combat in those areas). The US government did little to correct this at first, and at the end of the war was slow to recognize the CAP’s contribution to national security. But in April 1948, President Harry Truman began awarding Air Medals to CAP members who flew 200 or more hours on coastal patrol, though deserving ground crew members and support staffers got no special honors. Eventually, Truman awarded the Air Medal to 824 CAP members—including Phipps, whose more than 500 hours easily qualified him for the honor. Phipps left the CAP when the base at Rehoboth closed in September 1943. He then got a job with the army, inspecting bombers manufactured at the Glenn L. Martin factory in Baltimore. When the war ended, he returned to his civilian job and remained there until he retired. Phipps, who turned 93 in December 2006, continued flying, making his last flight as pilot-in-command on July 28, 2001. On September 11, 2001, an unprovoked attack on American soil caused the government to ground civilian flights. Soon, however, a Civil Air Patrol plane took off to take aerial photos of the destruction. It was the first civilian aircraft allowed back into the sky. 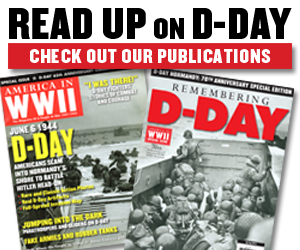 Drew Ames, an aviation enthusiast and free-lance writer living in Harrisburg, Pennsylvania, wrote an article on liaison aircraft for the December 2005 issue of America in WWII. The article above originally appeared in the April 2007 issue of the magazine. 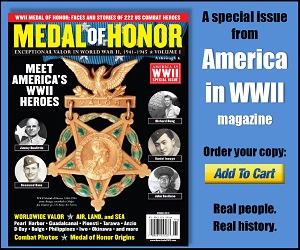 Learn how to order a copy of this issue here.. For more fascinating articles like this one, subscribe to America in WWII magazine. Images: First Lieutenant Henry E. Phipps wearing a rubberized suit in case he went down on a winter coastal flight from his base in Rehoboth, Delaware; the Civil Air Patrol insignia–a red propellor imposed on the blue-and-white Civil Defense insignia; the insignia of Coastal Patrol Base 3, with art by cartoonist Zach Mosley; artist Clayton Kenney’s 1943 poster for the Office of Civilian Defense promoting the air patrol; and Corporal Gladys M. Pier of Coastal Patrol Base 20 in Bar Harbor, Maine. Image credits: photographs HQ Civil Air Patrol, courtesy of Lieutenant Colonel A. William Schell, Jr., CAP; insignia and poster CAP HIstorical Foundation.